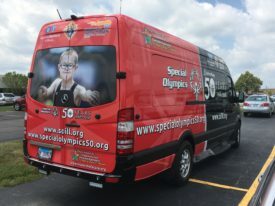 Special Olympics Illinois has put into service a vehicle to serve as a traveling exhibit and promotional tool for Special Olympics Illinois and the 50th Anniversary of the Movement. 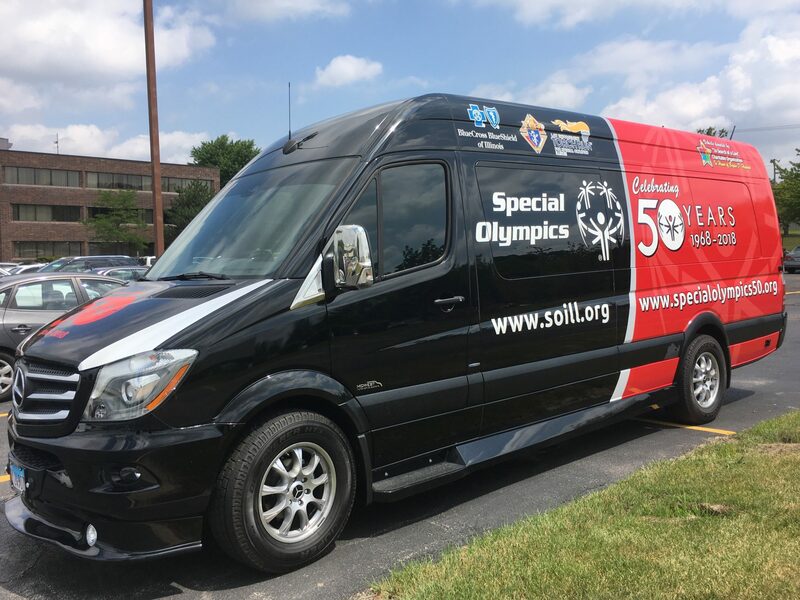 This vehicle serves as a moving tribute to the history of Special Olympics and broadcasts its future of inclusion and acceptance. Every stop the traveling exhibit makes comes complete with the collateral about the upcoming 50th Anniversary events scheduled in Carbondale and Chicago. Provide communication and collateral about upcoming 50th Anniversary events like those scheduled in Carbondale and Chicago! 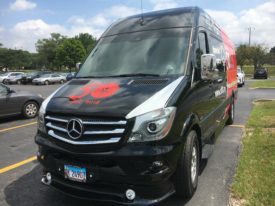 Not only does the mobile museum aim to display the history of the organization through pictures, videos, and words but it helps to be a fun stop for athletes, families, volunteers and the general public to learn the importance of choosing to include. At the helm of the traveling exhibit is Hiram Brownell. Brownell has been involved with Special Olympics for 49 years. 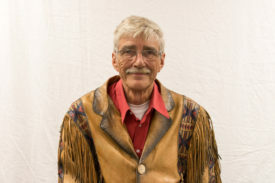 His journey began in Monmouth, Illinois in 1969 when he returned to finish his degree at Monmouth College. He was hired as a part-time PE instructor at Warren Achievement School where he found a flyer announcing the first Special Olympics games in 1968 in his desk. The Games had passed, but he called to register his school for future events. Later that year, Brownell attended an informational meeting where agencies learned about the second Games planned for summer of 1970 and several of the Warren Achievement School athletes went on to compete. In 1973, Brownell was asked to start the fourth region of Special Olympics Illinois to help accommodate growing athlete numbers and he ran his first Area Games in May of 1974. He became the Special Events Director in 1986, where he focused primarily on the Law Enforcement Torch Run and had an extensive career with Special Olympics Illinois until he retired 21 years later. Brownell’s vast knowledge and history with the organization made him the perfect captain for the traveling exhibit. He explains that all of the events have been great and unique in their own way, but sites Outdoor Sports Fest, the Tinley Park Truck Convoy, the State Fall Games and Knights of Columbus Winter Deputy Meeting as a few of his favorites. The vehicle was donated by “In Search for a Cure” Charitable Organization in honor of Bryan D. Hancock. Don’t miss the traveling exhibit at the 2018 Special Olympics Illinois Winter Games, and remember to say hi to Brownell when you stop by.